Fill out the form to learn about the Alexa + ClareHome. 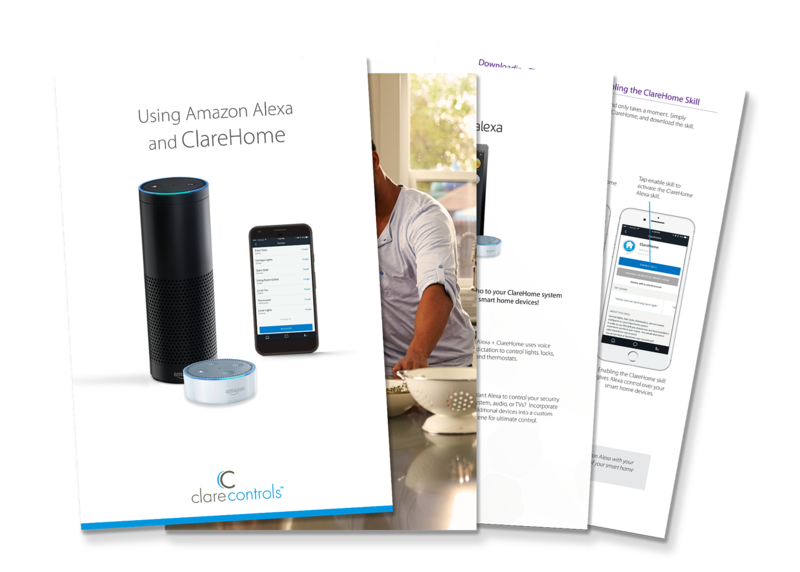 Using Amazon Echo and the voice dictation from Alexa, easily control your Clare smart home without opening your phone or lifting a finger! Alexa can also run all of your favorite ClareHome Scenes. Easily start your Good Morning or Movie Time Scenes by just telling Alexa. Alexa + ClareHome uses voice dictation to control lights, locks, and thermostats. Want Alexa to control your security system, audio, or TVs? Incorporate additional devices into a custom Scene for ultimate control.